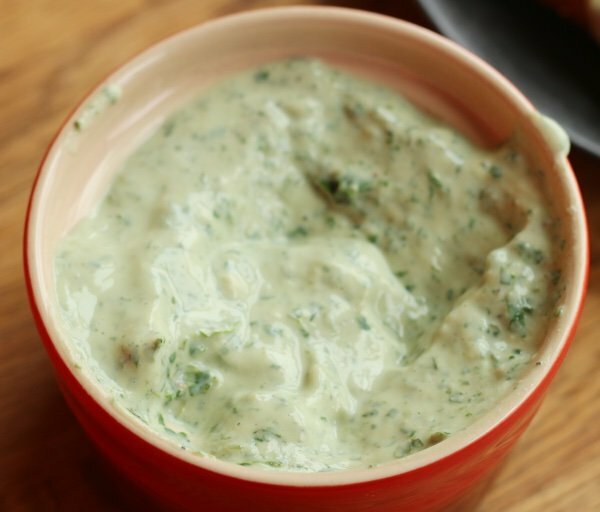 Tofu spread with herbs will help if you love butter. Of course nothing tastes like butter but you can do something different! I was recently told that I needed to cut back on butter and cheese. I have been doing fairly well with eating avocado or peanut butter as a replacement but what if I want something like dairy creamy? Is there something out there that can replace butter or cream cheese? Tofu has that dairy like texture without the saturated fat. I have been on a tofu kick lately – check out my easy hot and sour soup or my tofu scramble recipe. Not only is it a free food on Weight Watchers Freestyle but it is cheap and very versatile. I don’t know that you can find a lower in fat source of protein. I still don’t love it but I am learning to work with it. This time, all I did was use my blender to make my tofu spread. Whirrrrr. 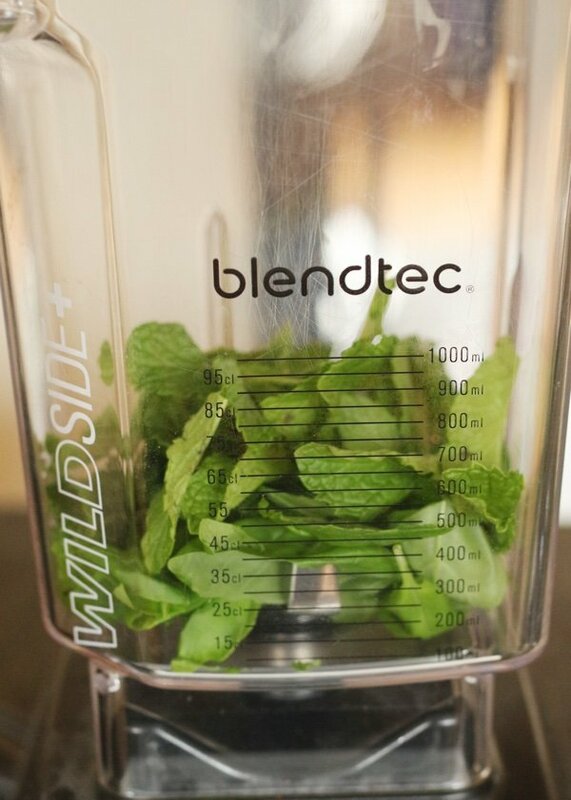 I love my blender and use it for smoothies, soups, and margaritas in the summer (which I believe is coming though I won’t believe it until I see it). 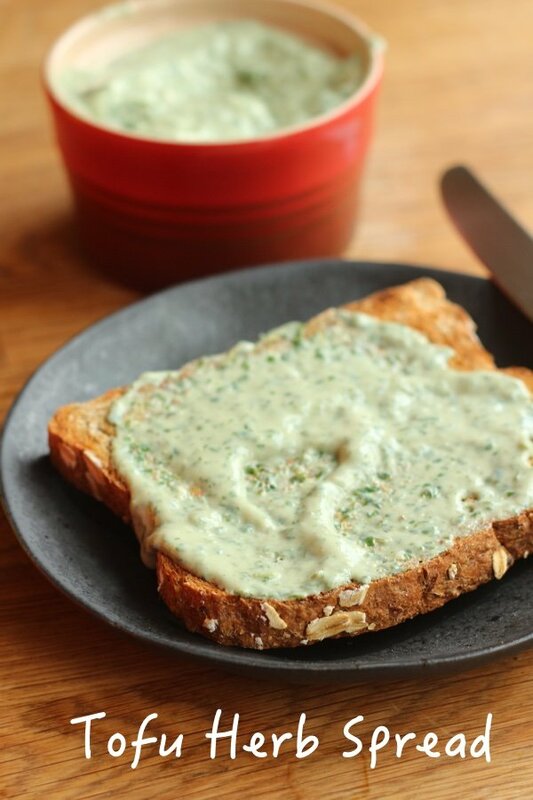 The idea here is that you will spread it on toast, crackers, pita bread or a sandwich instead of butter or mayonnaise. Add avocado, tomato, or whatever you like on your bread on top of the spread. I thought it was a bit flat all by itself but it was a great contrast to a slice of tomato or avocado. Simple is really best and fresh herbs are so flavorful. You can find them for $.99 at Trader Joe’s or grow them yourself. I bought these at Whole Foods because I decided to put a vacuum cleaner to my wallet. This did taste really good and fresh like the spring that will come EVENTUALLY to Massachusetts. I am so over winter right now. 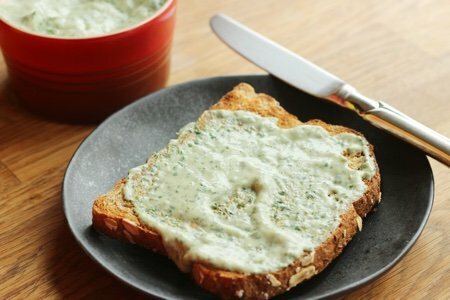 Will you give tofu spread with herbs a try? 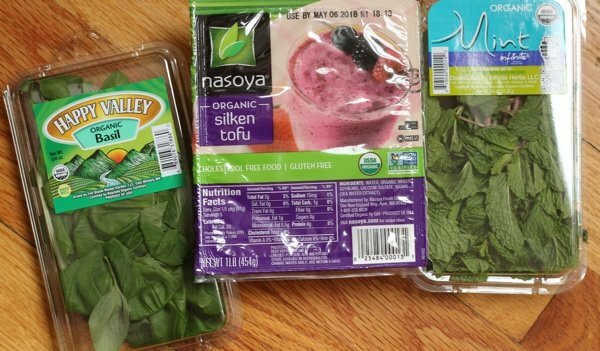 Place mint, basil, and tofu in a blender or food processer and blend until smooth. Add salt and pepper to taste. Serve immediately or chill for later use. I'm going to have to try this. I use silken tofu for a lot of things (like my favorite veggie frittata) but it never occurred to me to use it as a spread. My other go to spread is Kite Hill (almond milk) cream cheese, no cholesterol but the same amount of sodium as butter and is higher in calories than tofu. It's good for a treat though and tastes way better than other vegan cream cheese. Our local grocery (Wegmans) stopped carrying it but I saw it at Whole Foods. Thanks for this Lisa, I am usually put off by the mention of mint in a recipe. I imagine the food will taste like toothpaste but I will trust you on this one. I’m wondering if there could be a cilantro garlicky style? Oh I love this idea! Mint & basil together remind me of Spring too. I'm a fan of Kite Hill nut cream cheese as well. Great way to lessen butter in our diets. Do you know how long this will keep? I will be the only one eating it. Cant wait to give it a try!